Talmudist of the fourteenth century; died 1314. 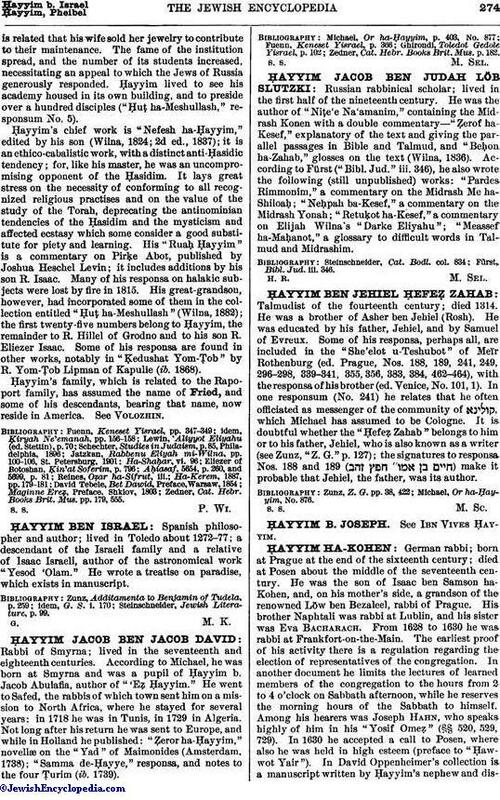 He was a brother of Asher ben Jehiel (Rosh). He was educated by his father, Jehiel, and by Samuel of Evreux. Some of his responsa, perhaps all, are included in the "She'elot u-Teshubot" of Meïr Rothenburg (ed. Prague, Nos. 188, 189, 241, 249, 296-298, 339-341, 355, 356, 383, 384, 462-464), with the responsa of his brother (ed. Venice, No. 101, 1). In one responsum (No. 241) he relates that he often officiated as messenger of the community of , which Michael has assumed to be Cologne. It is doubtful whether the "Ḥefeẓ Zahab" belongs to him or to his father, Jehiel, who is also known as a writer (see Zunz, "Z. G." p. 127); the signatures to responsa Nos. 188 and 189 ( ) make it probable that Jehiel, the father, was its author. Michael, Or ha-Ḥayyim, No. 876.